Hey! 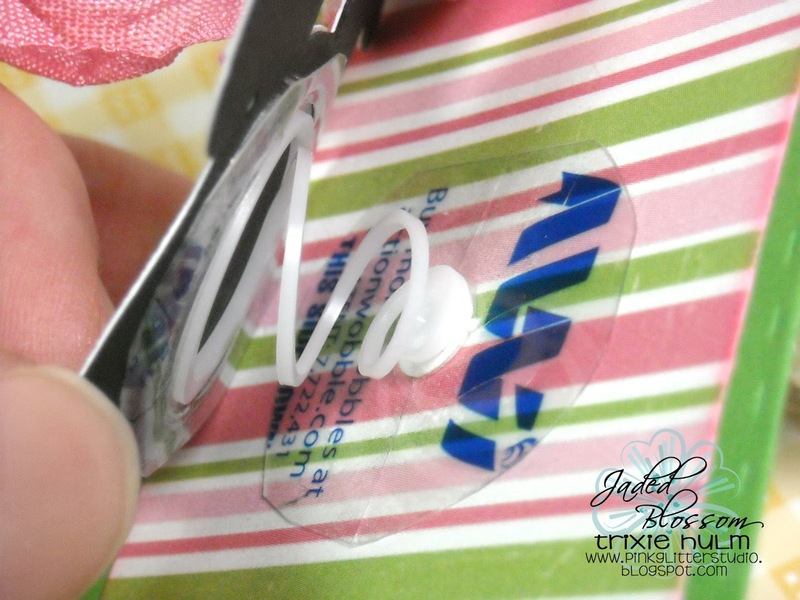 Trixie here from Pink Glitter Studio! Today I wanted to share with you my Bunny Bait Treat! I made this last year and my kids loved it..so of course they asked for it again. I found the recipe on Pinterest and I changed it up a little, but it's super easy and sooo yummy!! 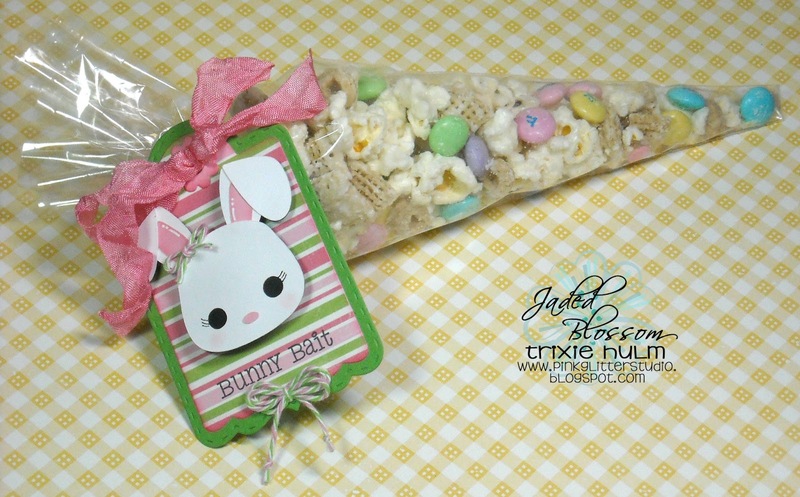 I used the Jaded Blossom Treat Tag Die, Cone Bags and Easter Treats 2. 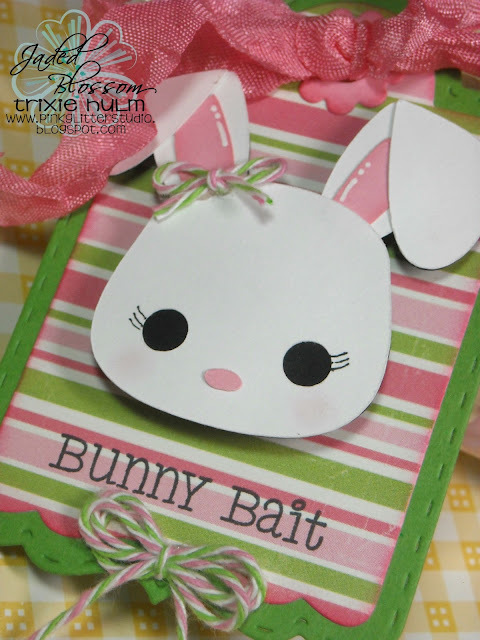 The adorable little bunny is from the Short Earred Bunny File from SVG Cutting Files. 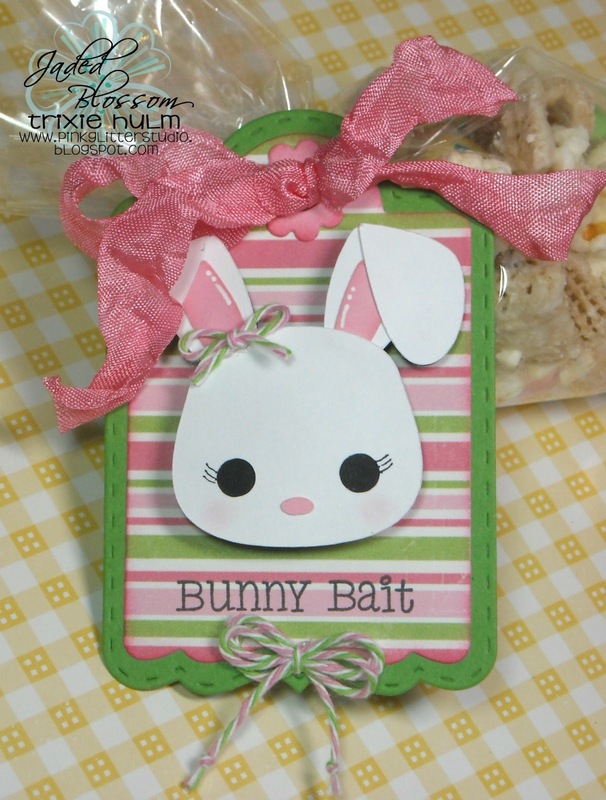 I used some of the FABULOUS Panther Pink Rumple Ribbon from LoveBug Creations. I also added some Watermelon Taffy Trendy Twine to my tag. I cut the Action Wobble down a bit so it would fit on my bunny. Sorry I couldn't get a good picture of it wobbling. But it sure looks cute when it does. LOL! So cute! Love the pattern paper and that she's on a wobble!